Those Damned Black Hats! 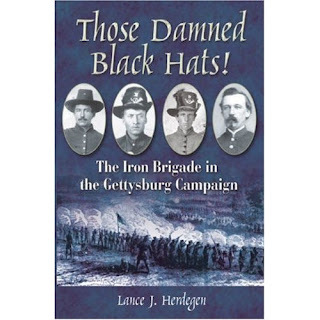 The Iron Brigade in the Gettysburg Campaign, Lance Herdegen, Savas Beatie Publishing, $32.95. The Iron Brigade--an all-Western outfit famously branded as The Iron Brigade of the West--served out their enlistments entirely in the Eastern Theater. Hardy men were these soldiers from Indiana, Wisconsin, and Michigan, who waged war beneath their unique black Hardee Hats on many fields, from Brawner's Farm during the Second Bull Run Campaign all the way to Appomattox. In between were memorable combats at South Mountain, Antietam, Chancellorsville, Mine Run, the Overland Campaign, and the grueling fighting around Petersburg. None of these battles compared with the "four long hours" of July 1, 1863, at Gettysburg, where the Iron Brigade was all but wrecked. Lance Herdegen's Those Damned Black Hats! The Iron Brigade in the Gettysburg Campaign is the first book-length account of their remarkable experiences in Pennsylvania during that fateful summer of 1863. Drawing upon a wealth of sources, including dozens of previously unpublished or unused accounts, Herdegen details for the first time the exploits of the 2nd, 6th, 7th Wisconsin, 19th Indiana, and 24th Michigan regiments during the entire campaign. On July 1, the Western troops stood line-to-line and often face-to-face with their Confederate adversaries, who later referred to them as "those damned Black Hats." With the help of other stalwart comrades, the Hoosiers, Badgers, and Wolverines shed copious amounts of blood to save the Army of the Potomac's defensive position west of town. Their heroics above Willoughby Run, along the Chambersburg Pike, and at the Railroad Cut helped define the opposing lines for the rest of the battle and, perhaps, won the battle that helped preserve the Union. Herdegen's account is much more than a battle study. The story of the fighting at the "Bloody Railroad Cut" is well known, but the attack and defense of McPherson's Ridge, the final stand at Seminary Ridge, the occupation of Culp's Hill, and the final pursuit of the Confederate Army has never been explored in sufficient depth or with such story telling ability. Herdegen completes the journey of the Black Hats with an account of the reconciliation at the 50th Anniversary Reunion and the Iron Brigade's place in Civil War history. "Where has the firmness of the Iron Brigade at Gettysburg been surpassed in history?" asked Rufus Dawes of the 6th Wisconsin. Indeed, it was a fair question. The brigade marched to Gettysburg with 1,883 men in ranks and by nightfall on July 1, only 671 men were still to be counted. It would fight on to the end of the Civil War, and do so without its all-Western makeup, but never again was it a major force in battle. Some 150 years after the last member of the Iron Brigade laid down his life for his country, the complete story of what the Black Hats did at Gettysburg and how they remembered it is finally available. CWL: Certainly, one of the keys to understanding the battle is what exactly did happen on the first day that caused Lee to commit to fighting at Gettysburg on the second day. Gallagher gets at this issue in his The First Day at Gettysburg: Essays on Confederate and Union Leadership. The stand of the Iron Brigade was underestimated by Confederate commanders. In the many tales of Yankee valor at Gettysburg, the Iron Brigades' July 1 combat story is probably among the top five turning points for the Union Army in the battle. 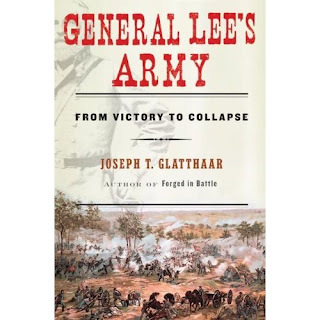 General Lee's Army: From Victory to Collapse, Joseph Glatthaar, Free Press, 624 pages, 19 maps, 41 photographs, appendix, notes, bibliopraphy, index, $35.00. An exceptional history by professional standards and a thoroughly entertaining work! Glatthaar's General Lee's Army: From Victory to Collapse is a finely balanced match of statistics and story. Not driven by campaigns and chronology, but by the soldiers and their voices, Glathaar's effort opens the Army of Northern Virginia in a way unlike D.S. Freeman's Lee's Lieutenants. Recently, several battle studies have used soldiers' diaries in an intimate way; Rable's Fredericksburg! Fredericksburg! ; John Michael Priests' Antietam: The Soldiers' Battle, Tracey Power's Lee's Miserables: Life in the Army of Northern Virginia from the Wilderness to Appomattox and Noah Trudeau's Gettysburg: A Testing of Courage. Glathaar has managed in 472 pages of narrative (yes, there are 150 pages of appendix, notes, bibliography and index) to re-introduce both the scholar and the lay reader to the Army of Northern Virginia. Those readers who enjoy Bell Irvin Wiley's Johnny Reb and Billy Yank, John Billings' Coffee and Hardtack or Sam Watkins' Company Atch should confidently approach General Lee's Army: From Victory to Collapse. Individual chapters focus upon religion and morality, arms and ammunition, combat, the homefront, medical care, desertion, and black Confederates. Campaigns and their battles are covered as they impact the soldiers in the ranks. Lee is treated honestly and without hagiography or disdain. Slavery is put in its place as a cause of the war, as a cause worth dying for and as a cause for regret. CWL will place it on the Top Ten of 2008 and will return to General Lee's Army: From Victory of Collapse again. Most moving for CWL were three chapters 'The Grind of War', 'Spiral of Defeat' and 'The Final Days.' The collapse of the Army of the Northern Virginia, after a year of sacrifice beyond endurance by the men in the ranks, is nearly heartbreaking. After sending a formal request to Clyde R. Bell, Supervisory Park Ranger/Licensed Battlefield Guides, my name has been placed on the list of prospects wishing to take the GNMP's Licensed Battlefield Guide Exam that is scheduled for December 6. Sometime after October 1, I'll be receiving an application form and a request for a registration fee of $50. The GNMP expects over 125 individuals to take the test and will select the top 20 scorers for a list. Some on this list of 20 may be called to attended a two day training session then later an oral exam. In 2006, 128 took the cut and the top 21 scorers were placed on a list. If you are on list of fewer than 20 and don't receive an invitation to take the oral, then you remain on the list for two years. After two years the list expires and you go back to the pool of 125 test takers. It sounds like the ranks of the GLBG are full and no retirements expected. Though the contents of the test haven't changed, it appears that several conditions of employment have changed. Somewhere is my copy the 2006 letter. These items seem to have changed: Full-time guides must give 175 tours and part-time guides must give 90 tours. It appears the personal income generated by tours is between something less than $9,000 upon which taxes must be paid, dues of $360 must be paid, and a uniform purchased. Of course, 175 bus tours would double the amount of earnings. New guides must present a minimum of 100 car trips and guide for six months before being allowed to guide buses. LBG must buy their own portable public address system for use on bus tours. On the test's bibliography for the battle there are 32 books and volume 27 (three parts) of the Official Records. On the test's bibliography for the war there are 24 general works and eleven memoirs and reminiscences. Surprising to CWL is that Retreat From Gettysburg: Lee, Logistics and the Pennsylvania Campaign by Kent Masterson Brown (2007) and The Stand of the U.S. Army at Gettysburgby Jeffery C. Hall (2003) are not on the battle's bibliography. Also, Eric Wittenberg's books on the cavalry actions are not on the list. CWL will provide a copy of the bibliography upon request. For generations, kids have begged to see it, and for generations they have walked away wondering, is that all? The Gettysburg Cyclorama, a huge dinosaur of a painting left over from the heyday of circuses, magic shows and brass bands playing on the town square, has never been a great painting. Its cartoonish soldiers and clutter of horses never really delivered on the promise of an illusion so real you'd swear you were in the middle of the great Civil War battle. But the giant painting in the round sat at Gettysburg since 1913, while the March of Progress coughed up movies with sound, television, the Internet and computer games. The painting never got better, but it did get stranger -- a relic of what seemed a more credulous era -- and over time it became part of history itself. And now, in one of the stranger twists of the history of how we tell history, the giant 1884 canvas has been given the loving treatment of an old master painting. On Friday, after a five-year and $15 million restoration effort, the panoramic Battle of Gettysburg cyclorama will reopen to the public. Decades of neglect, cropping and overpainting have been fixed. The painting has been restored to its original 377-foot-by-42-foot size and installed in a new rotunda. The panorama is a fully rehabilitated entry in the catalogue of antiquated illusions, an entertainment like Grandma's stereoscope, or the magic lantern shows that used to tour town to town back when telephones had cranks, not buttons. You can almost hear the barker shouting ridiculous superlatives -- "The MOST MARVELOUS PRODUCTION of THIS AGE," as an advertisement for the cyclorama more than a century ago put it (with a profusion of capital letters). The Gettysburg Foundation, which built and operates the battlefield's new visitors center, says it is the first time Paul Philippoteaux's painting has been seen in its original format in living memory, and it is the only cyclorama in this country that can be experienced as originally intended: from an elevated viewing platform, with a diorama that creates a three-dimensional foreground and a cloth canopy overhead to hide the upper boundary of the painting. They've also added a sound-and-light show that narrates the key moments of the battle. It may take today's visitor some convincing to believe the claim that "grown men wept" upon first seeing the cyclorama. And yet, contemporary accounts (collected in a newly published guide to the painting by Sue Boardman and Kathryn Porch) suggest that the illusion was compelling. "The panorama of 'The Battle of Gettysburg' is universally conceded by all who have seen it to be the most extraordinary work of art ever seen in this city," reported the Chicago Times when the first version of the painting (four official versions were made) was debuted. "I never before had an idea that the eye could be so deceived by paint and canvas," wrote a Union Army officer after visiting in 1884. The format was patented by Robert Barker in 1787. Barker, an Irishman living in Edinburgh, was building on experiments in perspective and illusionist painting that had been deployed in late-17th-century baroque churches (making the roof disappear into what seemed like an infinite view into the angel-congested heavens). But the military, which saw a potential new avenue for studying and surveying landscape, was also interested in panorama, which seems to have influenced the form in two ways: a curious obsession with almost photorealist detail and a pervasive interest in depicting battle scenes. After Barker's first forays in the form, panorama painting exploded in popularity and became, by the second half of the 19th century, a potentially lucrative business. Joint stock companies were formed to distribute new works, which appeared in purpose-built round halls in major cities. The painting size was standardized, and scenes were chosen (religious tableaux and city views were also popular) to ensure the widest possible audience. The Gettysburg Cyclorama was an entrepreneurial venture organized by Charles Louis Willoughby, a Chicago retail magnate, who hired the French painter Philippoteaux to re-create the battle. Philippoteaux visited Gettysburg and had a set of 10 black-and-white photographs taken at the site of the "High Water Mark" of the Confederacy, where a desperate Southern charge against Union lines failed. Philippoteaux employed a team of 20 artists with different specialties (landscape, horses, soldiers) to complete the canvas. 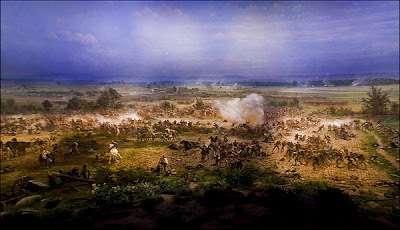 The Gettysburg panorama was originally painted for Boston but brought to the small Pennsylvania town for the 50th anniversary of the epic clash. And there it moldered for decades. In the early 19th century, serious artists admired the possibilities of panorama painting. In his survey of illusionist media, "Virtual Art," the scholar Oliver Grau cites painters as diverse as the brilliant French propagandist Jacques-Louis David and the English landscape artist John Constable as favorably impressed by early examples. The form seemed to offer a democratic experience, allowing the viewer to move around in the picture, unhindered by borders or frames. But autocrats almost immediately saw its propaganda value. Napoleon hoped to build an array of eight rotundas at Versailles to celebrate his battle exploits. Even more famous than the Battle of Gettysburg was the "Battle of Sedan," a wildly popular bit of Prussian agitprop that helped channel the jingoistic fervor inspired by the Franco-Prussian War into feelings of broader German nationalism. Philippoteaux's Battle of Gettysburg -- with its exploding caissons, agonized horses and chaotic disarray of charging soldiers -- is an occasionally dramatic but hardly great painting. In 1883, impressionism was in full flower, and Philippoteaux's compatriots -- Monet, Cézanne, Degas -- were revolutionizing painting. Panorama painters had become purely commercial artists, and panoramas were a decidedly middle-brow form (the artist of the Sedan panorama "put this entire starched, blatant, dreary, petit bourgeois, feudal society onto canvas in a manner that is as thorough, embarrassing, and insipid as the society itself," said one critic). Cycloramas rapidly died out with the emergence of cinema as a competing and more easily exhibited spectacle. But the attempt to create an "immersive" spectacle remains the goal of contemporary museum designers, who are as hungry for sensory novelty as the audiences of a century ago. In some ways, the Gettysburg Cyclorama was remarkably sophisticated in its presentation of spectacle and history. The moment chosen, Pickett's Charge, ensured maximum sympathy -- and thus maximum profitability -- from its audiences. Northerners could see themselves victorious, while Southerners had the consolation of admiring themselves in heroic defeat at a moment when the course of the war could have gone in a very different direction. But the "immersiveness" of the cyclorama wasn't just about wowing people with illusion. Its depiction of vital activity on all sides of the viewer captured a very 19th-century sense of history as an almost physical force, like gravity or electricity, that burst into our consciousness with dramatic clarity at certain decisive moments. At the same time -- and despite its supposedly scientific objectivity based on research, photographs and eye-witness testimony -- it isn't a photograph. The painting purposely obscures details (individual soldiers, the precise trajectory of bullets) that are generally lost in the fog of war. At least one early souvenir program for the panorama shows a Union and Confederate soldier shaking hands, an image of reconciliation that gained momentum in the decades after the panorama was unveiled. By representing a moment when the balance of power might have changed, the painting, and the larger obsession with Gettysburg as a battlefield, seems to equate the North and South, and neutralize their moral and political differences in a shared sense of passionate commitment and individual heroism. It argues that we all share the wound of Civil War -- which is a convenient way of deflecting attention from the more particular and unequally shared wound of slavery. Looking at the painting today, you begin to wonder if maybe the medium isn't the message. Like cinema, panorama grew out of a scientific and enlightenment tradition and was championed by an industrial and entrepreneurial one. But the message of the Gettysburg Cyclorama (brought to the United States by a Northern businessman) is all about the nation perpetually trapped at the moment of the South's greatest glory. The industry of illusionism (which continues with video games and virtual reality) is placed in service of an almost feudal worldview, the "lost cause," which championed an agrarian economy that was out of step with the march of progress that would invent, popularize and rapidly forget the wonders of panorama. Memorial To Black Civil War Regiment To Be Unveiled,Alaine Griffin, Hartford Courant,September 19, 2008. As a boy, Harrison Mero heard stories about his Grandpa Joe secretly ferrying slaves to the North through the Underground Railroad and listening to abolitionist Frederick Douglass speak in Connecticut. "We heard how Grandpa Joe was an outspoken guy at a time when people were fearful about speaking up," Mero said. But it wasn't until the day he buried his father in 1964 that Mero, 67, of Hamden, discovered another chapter in his great-grandfather's legacy. In the same Woodbridge cemetery where Mero's father was buried, Grandpa Joe rested under a military headstone. Mero would later learn that Joseph K. Stills was one of more than 900 black and Native American men from throughout the state who volunteered to fight for the Union during the Civil War in the Connecticut 29th Colored Regiment. On Saturday, Mero and other descendants of the 29th will gather in Criscuolo Park in New Haven to unveil a much-anticipated memorial to the regiment. Mero said the memorial gives the unit long-overdue recognition and helps promote the dissemination of a rarely told Civil War chapter. "This is history that children don't know," Mero said. 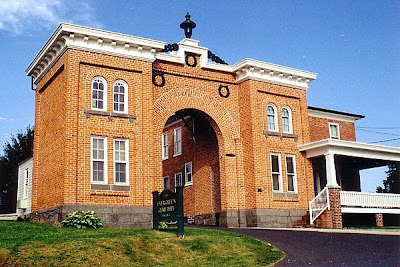 In 1863, African American and Native American men from throughout the state enlisted for duty at the former Camp Terry in New Haven. The encampment along Long Island Sound — now a park with baseball fields and a playground — will be home to the memorial bearing regiment members' names. Although they fought for the same cause as other Union soldiers, the men of the 29th were not treated as equals. They endured racial slurs, lived in poor conditions and could not carry guns until they left the state to fight. They were rarely promoted, and they were paid less than half of a white soldier's salary. 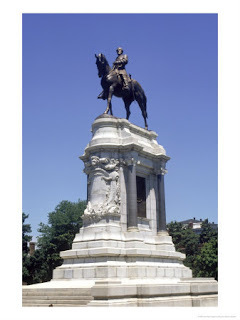 The 29th fought in several crucial Civil War battles in Virginia and was the first infantry unit to reach the Confederate capitol of Richmond after Union forces broke through Gen. Robert E. Lee's lines. The 29th returned to Connecticut in October 1865. Forty-eight of the regiment's soldiers were killed, 139 were wounded and 178 died from disease, according to Tom Acri, an eighth-grade social studies teacher in Milford who wrote his master's thesis on the regiment while at George Mason University. Grandpa Joe survived the war and moved back to Connecticut, where he worked as a mason, stonemaker and carpenter until his death in Woodbridge on Feb. 6, 1909. As a child, Mero said, all he knew about the war came from John Wayne movies and Margaret Mitchell's book, "Gone With the Wind." "When you saw something about the Civil War back then, our people were depicted as slaves working in the big house, talking in broken English," Mero said. "We assumed the war was all white people. My people were never shown on the battlefield." While in high school, Mero said, he read about the Buffalo Soldiers, the black cavalry and infantrymen sent to the Western frontier after the war. But it was not until Mero was in his 20s that he learned about his great-grandfather's role in the Civil War and the history that took place so close to home. After his father's burial, Mero turned to his older brother, Albert, who told him about the 29th and about other relatives who served in the Civil War. A house fire at a relative's home destroyed photographs and documents that could verify his brother's stories, though. So with the clock ticking on who in their family could recall tales from the Civil War, the Mero family held a family reunion. Long-lost relatives connected. And those who had been quiet about history in the past began to open up, Mero said. "That family tree ended up going in all kinds of directions," he said. 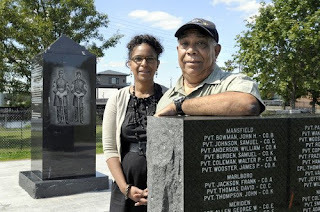 For nearly a decade, the Descendants of the Connecticut 29th Colored Regiment C.V. Infantry told the unit's story in classrooms, but had always hoped to build a monument somewhere to hold their place in history. In 1998, when group members went to Washington, D.C., for the dedication of an African American Civil War memorial there, they talked to the memorial's sculptor, Ed Hamilton, about a monument for the 29th in New Haven. Hamilton, of Louisville, Ky., took the job. The group raised $200,000 for the memorial through grants and donations. Saturday's dedication — slated for 2 p.m. — will be followed by receptions and a dedication ceremony for youths on Sept. 26 that will include a parade featuring students wearing armbands with the names of 29th Regiment soldiers. "I saw the plaque yesterday, and it brought tears to my eyes," Mero said this week. Though he wishes his brother, Albert, who died in 2006, was alive to see the memorial, Mero will be surrounded by several family members who also worked for years to make the memorial a reality. "This is going to make a very strong statement," Mero said. "It says, 'We were there and now we're back in the place where we started.'" For more information about the regiment and Saturday's ceremony, visit www.thect29th.org. Contact Alaine Griffin at agriffin@courant.com. Gov. Phil Bredesen joined state and local leaders at the Shiloh National Park Monday to award a transportation enhancement grant totaling $1 million for Phase 1 of the preservation and interpretation of the Battle of Shiloh in Hardin and McNairy counties, according to a press release. The grant funds will be used to acquire additional areas of the battlefield at both Shiloh and Fallen Timbers, properties considered to be in the core and study area of the battlefield as defined by the Civil War Sites Advisory Council, the release said. "The Battle of Shiloh site is not just an important piece of Tennessee history, it is one of the most significant battlefields in the nation," Bredesen said in the release. "It is imperative that we preserve these areas and I'm pleased the state can contribute to those efforts." State Rep. Randy Rinks, D-Savannah, stated, "This battlefield draws visitors from around the nation and has a positive impact on the economies of both Hardin and McNairy counties. This is an important investment in preserving our nation's history for future generations." "The preservation of this battlefield will ensure that future visitors will learn about this pivotal point in the Civil War and how this battle had a direct impact on the course of American history," said state Sen. John Wilder, D-Mason. The Tennessee Wars Commission, a division of the Tennessee Historical Commission, will oversee the project. "This grant will allow us to acquire and interpret some of the most endangered Civil War battlefield property in Tennessee," said Fred Prouty, director of programs for the Tennessee Wars Commission. "We're thrilled to be able to partner as co-applicants with the Civil Wars Preservation Trust and utilize this grant to protect these significant sites for future generations." The grant is made possible through a federally funded program administered by the Tennessee Department of Transportation. "TDOT has funded more than $189 million in transportation related projects through our Enhancement Grant Program," said TDOT Commissioner Gerald Nicely. "This program provides funds to cities, counties and state organizations to fund activities such as the restoration of historic facilities, bike and pedestrian trails, landscaping, streetscaping and other non-traditional transportation projects." The federal grant program was established by Congress in the early 1990's to fund activities designed to strengthen the cultural, aesthetic and environmental aspects of the nation's transportation system. 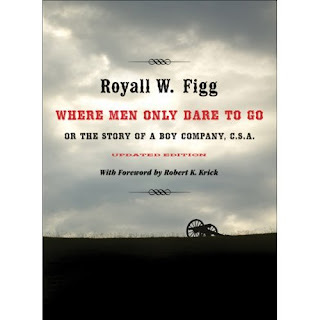 Where Men Only Dare to Go Or the Story of a Boy Company, C.S.A., ,Royall W. Figg, Foreword by Robert K. Krick,Louisiana State University Press,272 pp, 1 photograph, $19.95, October 2008. First published in 1885 and long out of print, Where Men Only Dare to Go by Royall W. Figg remains a classic memoir of Confederate service. This updated edition, with a new foreword by historian Robert K. Krick, brings Figg's captivating narrative back into print. Figg tells the story of Captain William W. Parker's Virginia battery, a significant Confederate unit that participated in every important engagement fought by the Army of Northern Virginia. Comprised mainly of young men, it became known as "Parker's Boy Battery." Figg joined the company at age twenty as a charter member at the battery's initial muster on March 14, 1862. He appears on each of the battery's fourteen bimonthly muster rolls from March 1862 to February 1865—an unusually devoted service record. His devotion is evident in the detailed accounting he provides of the battery's history, a vivid and engaging record of the experiences of a Confederate artillerist providing a rich blend of bravery, rascally behavior, and drollery. J. Thompson Brown, the last commander of Parker's Virginia Battery, described Figg as "a fair representative of our Company, an intelligent fairly educated boy. . . . He was a truthful and Christian gentleman. . . . I believe what he says, as no man could doubt Royal W. Figg's statement." The reappearance of Where Men Only Dare to Go after so many years offers a new generation a chance to read the eyewitness report of this bright, observant young soldier who fought through the famous battles in the eastern theater. Royall W. Figg was a member of Parker's Virginia Battery in Robert E. Lee's Army of Northern Virginia. Robert K. Krick is the author of numerous books on the American Civil War, including Stonewall Jackson at Cedar Mountain and Conquering the Valley: Stonewall Jackson at Port Republic. Following up on his Retreat From Gettysburg: Lee, Logistics & the Pennsylvania Campaign, Kent Masterson Brown, wrote and narrates the script of this high definition DVD. As narrator, Brown also appears at locations featured in the book. One of the many strengths of this film is Brown's confident presence on the screen; a lawyer who has appeared before juries, Brown gives to the script a both scholarly and an emotional commitment to the material. Viewers of Lionheart, Wide Awake, and History Channel films will find that this Witnessing History film has all the best features of those and more. In production, visuals, maps and graphics, Witnessing History films are well served by High Impact Productions. Both are based in Lexington, Kentucky. The high definition quality is so fine that CWL saw uniform buttons standing out from the wool. The maps are dynamic and not static; their moving graphics are necessarily frequent and interesting to watch. Particulary striking are the maps that involve the placement of the Army of Northern Virginia's divisional hospitals on the battlefields. The film's attention to such details regarding the wounded, their transport, and their voices is one of the more rewarding of the many fine characteristics in the script. Thankfully the film is not all reenactors all the time. Among many other places, Brown takes the viewers to Black Horse Tavern (Pickett's division's hospital), Monterrey Pass, Williamsport Landing and even the aqueduct that Ewell's corps used to reach the pontoons that crossed the Potomac. For the most part, though frequently used, the the reenactor segments are short and not heavily relied upon. CWL spotted only two women in the Confederate rank and file. The film shows roads used by Lee's immense wagon trains and the key sites where those wagon trains were attacked by Union cavalry. Lee established defenses that did not always delay or defeat the advances of General Meade's forces. Mountain passes and Potomac River crossings are featured both in ground and aerial shots. The film uses black and white photographs and color film to compare and contrast the terrain with a 'then and now' view. Retreat from Gettysburg; Lee, Logistics and the Pennsylvania Campaign is suitable for both the beginning student of the campaign and the immersed reader. Having read the book, CWL thoroughly enjoyed the film. The music is new, appropriate and symphonic. The script's attention farm hospitals, ambulances, pioneers, pontoon building, the immense wagon train of wounded, the herd of 50,000 livestock, and the constant battling of the Union cavalry is satisfying. The voices from diaries and letters ring out. Certainly this is not a 'one watch and then on the shelf' DVD. CWL will return to Brown's and Witnessing History's current and effort and to those forthcoming, in particular this fall's release on the history of bourbon in Kentucky. The Rifle Musket in Civil War Combat: Reality and Myth, Earl J. Hess, University Press of Kansas, 288 pages, $29.95. Bruce Trinque on The Rifle Musket in Civil War Combat: Reality and Myth. But, if Hess's "The Rifle Musket in Civil War Combat" might not be as groundbreaking as the flyleaf description and author's introduction indicate, the book nonetheless provides a solid, detailed underpinning for this relatively new understanding of the practical use and limitations of the prevalent American Civil War infantry weapon; and the book may spread that notion to a wider spectrum of Civil War readers than heretofore has been the case. Hess has performed a valuable service in digging through mountains of primary source material to quantify the impact of rifle muskets on Civil War combat, yielding numerous statistics in support of his conclusions that firefights occurred mostly at ranges far under the theoretical capacity of the weapons and that Civil War battles were no more bloody or indecisive than earlier battles when smoothbore muskets were the rule. Perhaps of particular value is Hess's assessment of the impact of rifle muskets upon skirmishing, sharpshooting, and sniping (Hess takes pains to differentiate between the terms, noting that they are often incorrectly used interchangeably). 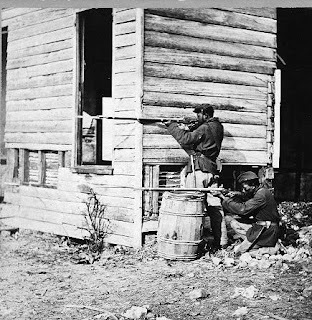 He concludes that the widespread use of the weapons permitted large numbers of soldiers to act in the skirmishing role, not concentrating that duty upon a couple of picked companies from each regiment or in elite units such as described in Fred L. Ray's "Shock Troops of the Confederacy: The Sharpshooter Battalions of the Army of Northern Virginia." 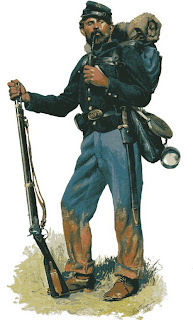 Hess states that "Lee's sharpshooter battalions were unique and impressive examples of Civil War specialist units. But there is no convincing evidence that they consistently dominated the skirmish line or regularly outshot their opponents during the Overland or Petersburg campaigns ... In the long run, it might have been the wiser course for the Federals to insist that all their regiments be able to skirmish rather than rest that important duty on a small cadre of elite troops." Any small quibbles or unfulfilled wishes aside, I find Hess's The Rifle Musket in Civil War Combat to be an important contribution to better understanding the realities of Civil War battles, and to place those battles in their proper context in the general history of warfare. CWL thanks Bruce Trinque for permission to use of remarks from the Civil War Discussion Group and Amazon.com. Image of Union Soldier from Veterans Letters. Long before Hiroshima and Nagasaki, an American Civil War general exposed the horrible power of “total war” as he rampaged across the South. Or did he? The ever-quotable Gen. William Tecumseh Sherman certainly promised to “make Georgia howl!” and he was hardly gentle during his famous march to the sea in 1864. But an exhaustive new history tells a story of military prowess and remarkable survival, not lawless and rampant destruction. Union soldiers did torch homes, confiscate crops, and cripple railroads as they carved a path from Atlanta to Savannah, writes author Noah Andre Trudeau in Southern Storm: Sherman’s March to the Sea. But few soldiers were killed on either side, and northeastern Georgia recovered quickly. Almost 150 years of American mythology suggest a much grimmer story, one that Mr. Trudeau dismisses. The march, he writes, may “forever be best remembered for everything it wasn’t.” Other historians – and plenty of Southerners – are certain to think differently. 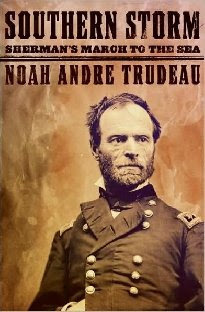 But Trudeau, a former executive producer at National Public Radio and author of a well-received book about the Battle of Gettysburg, finds evidence that Sherman’s words were more scathing than his actions. Trudeau’s overly detailed, 688-page account is a bit of a slog itself; readers will grow tired of hearing about each day’s food-finding efforts and the availability of sweet potatoes. But amid the minutiae, the author provides sharp analysis and tells a gripping story of men and women at their best and worst. Sherman is a deeply sensitive man; the early death of his son leaves him in a fragile emotional state. But he has little interest in rights for black people and is constantly annoyed by the countless slaves that follow his soldiers. On one hand, he appears to be an avenging angel – a “stone-faced devastator” who wrote of wanting to kill 300,000 leading Southerners. But a “moral drift,” as Trudeau describes it, prevents him from doing more to devastate the people and property he came across. Sherman, of all people, has a heart. Sherman, the No. 1 villain in the history of the South, never seems to wrestle hard with the choices he makes, however. Driven by his commitment to “patriotism and national destiny,” he has no time to agonize or reconsider, unlike President Abraham Lincoln. With the help of savvy strategic decisions and modern-sounding pontoon bridges, Sherman reaches the coast and telegraphs Lincoln that he has a Christmas gift for him: the crucial city of Savannah. The march did not, Trudeau argues, ever reach the level of “total war.” In the larger picture, however, it “dramatically fractured the social fabric” of the South. And it made Southerners lose faith in the ability of their leaders to protect them, hastening the end of the Civil War. Sherman would live for another quarter century, burnishing the stories of his brilliance to a high gloss and making the truth ever murkier. Georgia would recover – and remember. And the targeting of civilians would become ever more critical to the dark art of warfare. 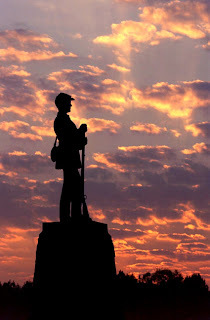 CWL: Though not definitive Trudeau's Gettysburg: A Testing of Courage is a fine book with strategy and tactics fairly balanced with brogans and bonnets. The maps are adequate and feature a clock. Trudeau's other works on African-Americans in the Union Army and a trilogy on the Virginia Campaign 1864-1865 are both comprehensive and accessible to general readers and students of the campaign. The History Book Club is offering both Southern Storm and a campaign map by the McElfresh Map Company for about $33.00. The Gettysburg Encyclopedia, Ted Savas and Bradley Gottfried, editors, Savas Beattie Publishing. 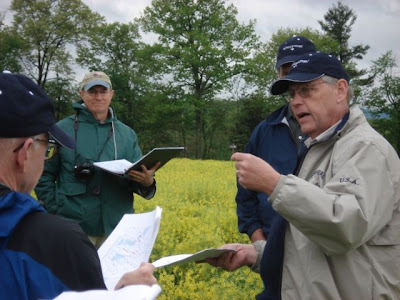 Nearly three years ago we revealed that author Brad Gottfried (Maps of Gettysburg and a host of other Gettysburg-related titles) and I had begun work on a large single-volume Gettysburg encyclopedia. We receive a steady stream of emails and calls asking about the status of this project. Here is a brief update . . .
We anticipate this single volume will run about 800 pages (including lots of original maps) in a 7 x 10 hardcover double-column format. We have not yet determined a retail price. The date of publication has not been set, but we are hoping for June 2010. In the near future we will republish the Gettysburg Encyclopedia web page, and include a list of the individual entries, a brief bio of each contributor, excerpts, and much more. If there is something in particular you would like to see on this web page, please send us an email and let us know. One of the issues we will be dealing with is whether to sell this title into the main book trade (chains, Amazon, etc.) or make it available only through Savas Beatie. Your thoughts on this are also welcome. As always, we look forward to any suggestions you have that might make this project a better book. It is a true (and expensive) labor of love, and we want it to stand the test of time and functionality. CWL: A Civil War battlefield holds George Washington's childhood home. The location is directly across the Rappahannock River from Fredericksburg. The Ferry Farm is not a part of the National Park Service's military park. From my exploration at the Ferry Farm and my reading of Rable's and O'Reilly's books on the battle, Washington's home is below (southwest) of the railroad trestle and the site of Sumner's crossing. Researchers announced Wednesday that remains excavated in the last three years were those of the long-sought dwelling, on the old family farm in Virginia 50 miles south of Washington. The house stood on a terrace overlooking the Rappahannock River, where legend has it the boy threw a stone or a coin across to Fredericksburg. On the subject of legend, the archaeologists who made the discovery could no more tell a lie than young George. No, there was not a single cherry tree anywhere around, not even a stump or a rusty hatchet. The tale of the boy owning up to whacking his father’s prized cherry tree, the one thing most people think they know of Washington’s youth, has long since been discredited as apocryphal. But finding the house, archaeologists and historians say, may yield insights into the circumstances in which Washington grew up. Actual documentary evidence of his formative years is scant. “What we see at this site is the best available window into the setting that nurtured the father of our country,” Philip Levy, an archaeologist and associate professor of history at the University of South Florida, said in an announcement of the discovery. Dr. Levy and other members of the excavation team said the foundations, stone-lined cellars and other remains suggested that this was far from being the rustic cottage of common perception, but instead one befitting a family of the local gentry. It was a much larger one-and-a-half-story residence, with perhaps eight rooms and an adjacent structure for the kitchen. David Muraca, director of archaeology for the George Washington Foundation, said the size, characteristics and location of the structure, as well as many artifacts from the time of Washington’s youth, had led experts to conclude that this was indeed the house they were looking for. “This is it,” Mr. Muraca said firmly. The announcement was made by the foundation, owner of the National Historic Landmark site called Ferry Farm. Archaeologists described the excavations in a telephone news conference arranged by the National Geographic Society, a supporter of the research. George was 6 when the family moved to the farm in 1738. His father, Augustine, had bought the farm, which then covered 600 acres, to be closer to an iron furnace that he managed. The father and his second wife, Mary Ball Washington, and their six children occupied a house that had been built earlier in the century. Among the few things known of that period are the death of a baby sister, a house fire on Christmas Eve 1740 and the death of Augustine, in 1743. George eventually inherited the farm and lived in the house until his early 20s, though he took to spending more time with his half-brother Lawrence at another family property, later known as Mount Vernon. Washington’s mother lived in the house until 1772, when she moved to Fredericksburg, and the farm was sold five years later. The house was demolished sometime in the early 19th century; an 1833 painting shows its ruins. Other old buildings and newer ones were destroyed, their timber probably burned as fuel, when the farm was occupied by Union soldiers in the Civil War. The search for anything left of the boyhood home began in earnest seven years ago. Three likely sites were excavated, Mr. Muraca said. At the first, two years of work turned up ruins from the 17th century. The second set of ruins proved to be from a house built in the mid-19th century. For the last three years, the research team — sometimes as many as 50 workers in the field and laboratories — turned over the stones and soil at the remaining site. “If we didn’t hit here, we had no other place to look,” Mr. Muraca said. From sections of foundation stones, the bases of two chimneys and remains of four cellars, the archaeologists determined the dimensions of the main house, a rectangle 53 by 37 feet, not counting the separate kitchen. Other evidence from debris indicated that the house had a clapboard facade and wooden roof shingles. Mark Wenger, an architectural historian for Ferry Farm, said the house appeared to have had a central hallway with front rooms and back rooms on each side and possibly three rooms upstairs under the slope of the roof. The front rooms faced on the river, which in those days was navigable to large sailing ships. Artifacts from the Washington period were crucial. These included wine bottles, knives and forks, pieces of small figurines, wig curlers, bone toothbrush handles and a clay pipe with a Masonic crest that just possibly was George’s. Fragments of an elaborate Wedgwood tea set, presumably belonging to Mary Washington, showed that the family’s fortunes had revived after the hardships immediately following the father’s death. 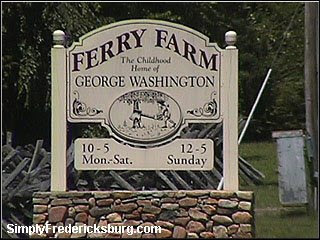 The Washington foundation said archaeologists would continue the search for other buildings and gardens at Ferry Farm. The ultimate goal is to reconstruct the house young George grew up in. See the slide show on the the archaelogical work. 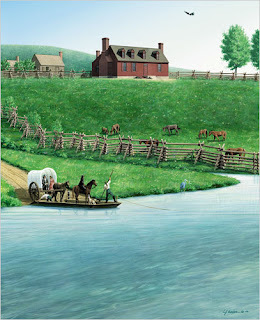 Illustration: A rendering of George Washington's family house and surrounding land at Ferry Farm in Stafford County, circa 1738. A ferry, which gave the farm its name, crosses the Rappahannock River in the foreground. Illustration by Mesick, Cohen, Wilson, Baker Architects. For Northerners in the United States, the history of the Civil War seems pretty much settled. We know that from the nation's founding, economic and cultural differences - particularly those surrounding slavery - created tensions between the North and the South; that the elimination of slavery only fitfully became a Union goal during the war; and that it ultimately took a century for black Americans to glimpse the equality guaranteed by the nation's ideals. But for all its bloodshed, we see the Civil War as necessary and Abraham Lincoln as its visionary hero; it was a preamble to the United States becoming what it always should have been. Things are interpreted more ambiguously here in what once was the capital of the Confederate States of America. Forty-three battles took place within 30 miles, or 48 kilometers, of the "White House of the Confederacy," the mansion where this self-declared nation housed its only president, Jefferson Davis, from 1861 to 1865. And while history may be typically written by the victors, here it seems to shape a looking-glass world in which perspectives are shifted and emphases altered, jarring emotions and assumptions. In many ways the Civil War still seems to rage. 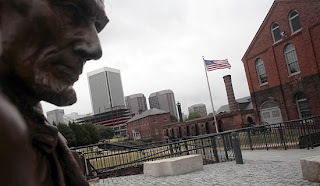 In 2003, when a statue of Lincoln was donated for display outside the Civil War Visitor Center of the National Park Service, in downtown Richmond, immediate protests erupted - not over its maudlin character, but over the very idea of honoring an oppressor. The dedication ceremony was buzzed by a plane trailing a banner proclaiming, "Sic semper tyrannis," which is not only Virginia's motto (meaning "Thus, always, to tyrants"), but also what John Wilkes Booth is said to have called out while assassinating Lincoln. Is such ugliness, then, what is meant by the "other side" of Civil War history? At times, surely, but institutions here - the Museum of the Confederacy and the American Civil War Center - argue that the war should be seen, at least in part, from the perspective of the losing side, and that such understanding need not be completely derailed by the moral outrage of slavery. The Museum of the Confederacy may be facing the limitations of that position. Annual attendance, from a 1991 peak of 91,000, has been dropping, to about 48,000 in the last year. Its 1976 building, like the adjacent White House, is also hemmed in by a growing hospital complex. So the institution has put together an ambitious $15 million plan to create a system of four museums in historic Virginia areas, increasing display space for its extensive collection. The American Civil War Center, which raised $13.6 million before opening in 2006 to much praise, has fewer apparent problems, though attendance is still low (about 25,000 in the past year). It creates a broader panorama, offering not one perspective but three: those of the Union, the Confederacy and the African-Americans. An empathetic exposition of the Confederate perspective poses some knotty problems. Confederate symbols are more than mere artifacts. The flag was the badge of segregationists in the civil rights era; it retains that resonance. Sensitivities to such allusions are high: A controversy erupted recently over the American Civil War Center's acceptance of a statue of Davis donated by the Sons of Confederate Veterans. The Museum of the Confederacy, then, has a daunting task. It was founded in the 1890s by the daughters of Lee and Davis and other women, who solicited memorabilia from Confederate families to create a nostalgic shrine to what was then called the Lost Cause. During the last two decades the museum has been delicately redefining itself. It has an extraordinary collection of 15,000 artifacts and 100,000 manuscripts. It has become a scholarly resource and has published valuable books like "Before Freedom Came: African-American Life in the Antebellum South." But whiffs of the Old South still emerge here and there, particularly in its main exhibition, "The Confederate Years." For example, in describing the war's opening battle at Fort Sumter in Charleston, South Carolina, the wall text oddly states that because Lincoln was determined not to begin the war against the seceding South, he "succeeded in maneuvering the Confederacy into firing the first shot of the war." There is also little discussion of slavery before or during the Confederacy. Instead there is a short display titled "Confederate Preparation for War: Mobilizing the African-American Population." This mobilization called up "tens of thousands of African-American laborers" described as both "enslaved and free." This is so peculiar a reference to a society in which, in 1860, one-third of the South's population - 3,950,511 souls - was enslaved, that it seems deluded or obfuscatory. The exhibition's refusal to illuminate fully the lives of the Confederacy's black inhabitants suggests that an embrace of the Lost Cause has not been fully relinquished. The other flaw is the museum's almost exclusive attention to the war and the lives of soldiers. But an exhibition on Virginia and the Confederacy on the museum's lower level is far more frank about slavery and demonstrates how powerful a truly complete portrait of Confederate society might one day be, perhaps even showing the strains on the very institutions - plantations and slavery -that secession was meant to protect. Despite such limitations, the museum sheds light on a dark time. Its chronological accounts of battles; its displays of uniforms with faded blood spots, of Lee's battlefield tent, of a blood-stained letter written by a dying soldier to his father - all this reveals something touchingly human. The only problem is that you never come to grasp precisely why these men were sacrificing their lives. For greater understanding you must go to the American Civil War Center, housed in the historic Tredegar Iron Works that once supplied the Confederacy with much weaponry. A scrupulous time line, along with artifacts (some lent by the Museum of the Confederacy), chronicles the economic impact of slavery, debates about secession, westward expansion, the North's mixed motives, the Emancipation Proclamation, General Sherman's onslaught, the flawed Reconstruction, the evolving modern nation. There are times when the tell-all-sides pose becomes intrusive, particularly since competing ideological positions are strangely called Union, Home and Freedom. Their initials - U, H and F - confusedly dot maps of battles. But you do get a valuable sense of how differing perspectives intertwine. 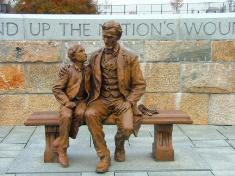 The evolution of Lincoln's pragmatic stance toward emancipation, for example, is subtly illuminated. If anything, the museum's tale is too sweepingly abstract; it is so preoccupied with multiple perspectives that it does not provide a strong sense of the people who embodied them. And while the framework of multiple poses is intended to reassure local constituencies, the museum works not because it offers different historical narratives but because it creates out of many, one. General William Tecumseh Sherman's devastating "March to the Sea" in 1864 burned a swath through the cities and countryside of Georgia and into the history of the American Civil War. As they moved from Atlanta to Savannah-destroying homes, buildings, and crops; killing livestock; and consuming supplies-Sherman and the Union army ignited not only southern property, but also imaginations, in both the North and the South. By the time of the general's death in 1891, when one said "The March," no explanation was required. That remains true today. Legends and myths about Sherman began forming during the March itself, and took more definitive shape in the industrial age in the late-nineteenth century. 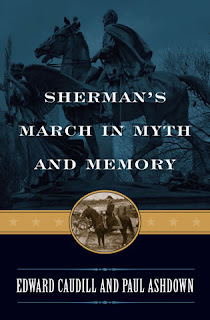 Sherman's March in Myth and Memory examines the emergence of various myths surrounding one of the most enduring campaigns in the annals of military history. Edward Caudill and Paul Ashdown provide a brief overview of Sherman's life and his March, but their focus is on how these myths came about-such as one description of a "60-mile wide path of destruction"-and how legends about Sherman and his campaign have served a variety of interests. Caudill and Ashdown argue that these myths have been employed by groups as disparate as those endorsing the Old South aristocracy and its "Lost Cause," and by others who saw the March as evidence of the superiority of industrialism in modern America over a retreating agrarianism. Sherman's March in Myth and Memory looks at the general's treatment in the press, among historians, on stage and screen, and in literature, from the time of the March to the present day. The authors show us the many ways in which Sherman has been portrayed in the media and popular culture, and how his devastating March has been stamped into our collective memory. Edward Caudill and Paul Ashdown are professors of journalism and electronic media at the University of Tennessee. They are co-authors of The Myth of Nathan Bedford Forrest (2005) and The Mosby Myth: A Confederate Hero in Life and Legend (2002). Caudill is author of Darwinian Myths: The Legends and Misuses of a Theory (1997) and co-author of The Scopes Trial: A Photographic History (2000). 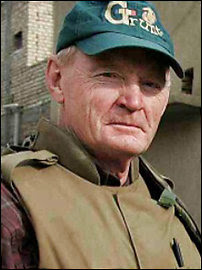 Ashdown is editor of James Agee: Selected Journalism (1985, 2004) and author of A Cold Mountain Companion (2004). 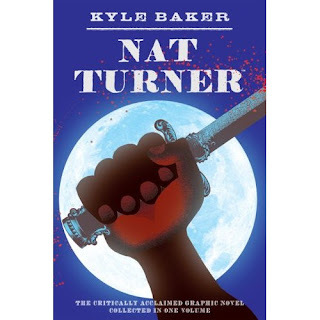 Nat Turner, Kyle Baker, Abrams Publishing, Paperback 208 pages, June 2008, $12.95. 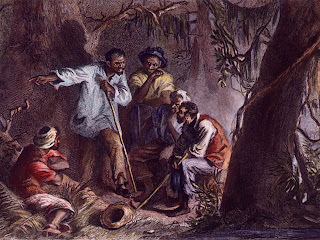 On that evening of August 20, 1831 Nat Turner and six other men met in the woods of southeastern Virginia several dozen miles from the Dismal Swamp. At 2:00 a.m., they went to the home of Turner’s master. They killed his master's entire family. Then they went house-to-house, killing other whites. In the process, they gained the assistance of fifty to sixty slaves who helped kill at least 55 white people. The rebellion ended when the militia began pursuing Turner and the other slaves. During the pursuit, some slaves were captured and about 15 were hanged. Turner escaped and hid out for about six weeks until he was captured. He was imprisoned, and was sentenced to execution on November 5, 1831. While in prison, he dictated his confession to Thomas R. Gray, the transcriptionist who immediately published the work. On November 11, 1831, Turner was hanged and skinned. 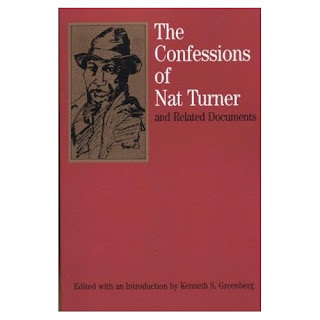 I have used with varying degrees of success, The Confessions of Nat Turner as required reading in an HIS 101 a college level survey course. Some students 'got it' and some students 'didn't get it'. The Confessions themselves are a slight document; it is the edited transcipt of an oral interview. The Bedford St. Martins edition that I use contains documents related to the historic event. The event occurred as the Virginia debated the gradual abolition of slavery; the revolt's most immediate affect was to extinguish the debate. Nat Turner's story has been novelized by William Styron and researched by Stephen Oates. CWL has read both; one is an outstanding work of fiction, the other is an outstanding work of historical detection. Styron won a Pulitzer Prize in 1967 for his novel. Oates' 1974 work established him as a meticulous researcher and a strong narrator. To a degree, Nat Turner remains an enigma to CWL. Turner is part mystic, part sociopath, part revolutionary and not unlike the abolitionist John Brown. Brown's most recent biographer, David Reynolds, has explained subject quite well in the context of his times and the limits and strenghts of his personality. Readers will have to be satisfied with Oates' Turner. Kyle Baker has brought his talents to bear on Nat Turner in a way that reaches back several generations before Turner's life. CWL suggests that readers unfamiliar with Nat Tunner read and then read again Baker's Nat Turner, then turn to Oates' Fires of Jubillee. Kyle Baker—writer, artist, animator, director, and publisher—has written and illustrated thirteen graphic novels and won multiple Eisner and Harvey Awards. His work has appeared in The New Yorker, The New York Times, Esquire, Spin, Rolling Stone, The Voice, EW, and Details, and he has worked for Disney, Warner Bros., HBO, Dreamworks, Cartoon Network, DC Comics, Marvel Comics, Random House, Nickelodeon, and Scholastic. He lives in New York City. CWL thoroughly enjoyed Stealing the General: The Great Locomotive Chase and the First Medal of Honor by Russell S. Bonds from Westholme, a newer publisher. 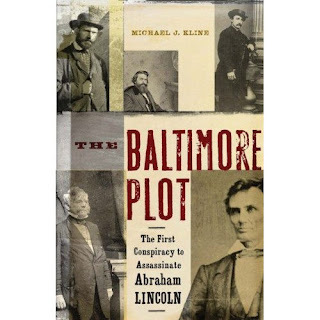 The Baltimore conspiracy to assassinate Lincoln is an amazing story with strong characters; the episode has a few paragraphs in most surveys of the Civil War. This may be the first monograph on the topic. 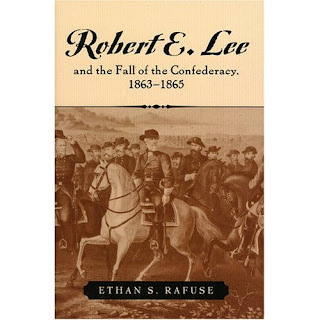 Robert E. Lee and the Fall of the Confederacy, 1863-1865 (The American Crisis Series Books on the Civil War Era), Ethan Rafuse, Rowman & Littlefield Publishers, Inc., 304 pages, $34.95 (August 28, 2008). CWL ranks Ethan Rafuse at the top of the list of those who have new things to say about Civil War generals. His work on George B. McClellan is original, outstanding and clarifies the elements of the McClellan myth, parts of which are true and parts of which are false. Rafuse set McClellan in the context of his times and the author developed a striking thesis about the general's quest for a moderate war. In a small volume, Rafuse also established George Gordon Meade in his times and his career with the Army of the Potomac; he fairly gave Meade credit where credit was due and criticism where criticism was due. Rafuse's work on Lee will be high of books to be read this year. Read the December 14, 2005 CWL review of Rafuse work on McClellan; in 2005 CWL was a month old. 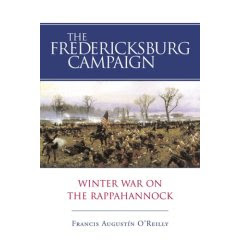 Rafuse also adequately explained how the North and South believed that the war would be fought with only one battle; the author's A Single Grand Victory: The First Campaign and Battle of Manassas is a clear and concise explanation of which European precepts West Point taught on the eve of the Civil War and how these ideas conditioned the expectations of the early war generals. CWL reviewed this book on August 4, 2006. 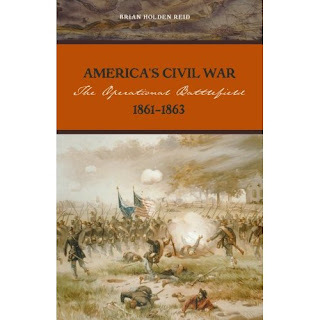 America's Civil War: The Operational Battlefield, 1861-1863, Brian Holden Reid,Prometheus Books504 pages, $34.95 (August 4, 2008), Brian Holden Reid is professor of American history and military institutions and head of the Department of War Studies at King's College, London. In 2004-2005, he was the first non-American to serve as a member of the Lincoln Prize jury panel, which awards the most important literary prize in the field of Civil War history. His many books include The Origins of the American Civil War, The Civil War and the Wars of the Nineteenth Century, and Robert E. Lee: Icon for a Nation. CWL enjoys an occasional book from across the pond; the British perspective is usually enlightening and Reid is a fine writer. 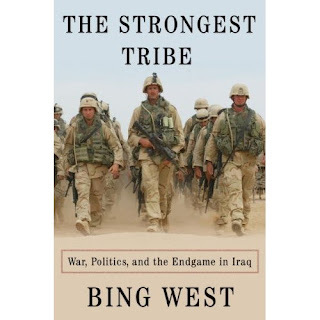 The Strongest Tribe: War, Politics, and the Endgame in Iraq, Bing West, Random House Publishing, 448 pp., maps, photographys, notes, bibliography, index, $28.00. Review From The Washington Post, John A. Nagl, Sunday, August 17, 2008. 'We interpret reality through the clouded prism of our own experience, so it is unsurprising that Bing West sees Iraq through the lens of Vietnam. He served as a Marine officer there, and he thinks politicians and the media caused the American public to turn against a war that could have been won. Now a correspondent for the Atlantic, West has made 15 reporting trips to Iraq over the last six years and is almost as personally invested in the current conflict as he was in Vietnam; this book, his third on Iraq, is his attempt to ensure that the "endgame" in Iraq turns out better than in his last war. That loss had catastrophic consequences for Vietnam, Southeast Asia and the United States. The consequences of defeat in Iraq, West argues, are similarly severe, entirely foreseeable and preventable at an increasingly bearable cost. "Reducing the U.S. force in Iraq can be done prudently, as long as we don't promise a total withdrawal that signals America has given up," he writes. "That makes no sense given the progress that has been made." Looking through the prism of my own experience, I find it hard to disagree. " CWL: Bing West's No True Glory: A Frontline Account of the Battle for Fallujah (2005) is a gripping battlefront and headquarters account of the 2003 pivital in Iraq. Check CWL's review on Jul 11, 2008. West's tone is neither antiwar nor gungho. His background includes long stays in Iraq and a career in the military as a Marine in Vietnam and as an assistant secretary of defense in the Reagan administration. 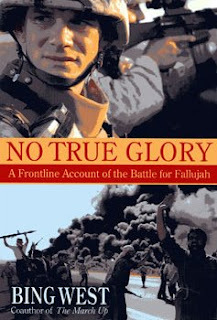 In writing No True Glory the author observed and interviewed more than 700 Marines, other soldiers and participants in the course of 16 months. His depth of observating first hand the activities he reports and the immense amount of interviews he collected from participants is the background of this book and provoides and immersion experience for the reader.